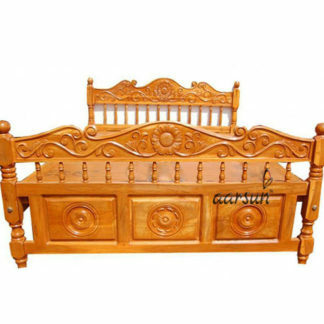 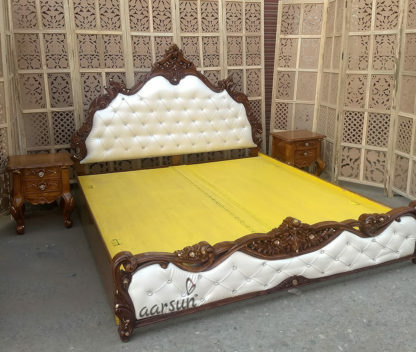 Aarsun Woods brings to you Carved wooden bedroom set. 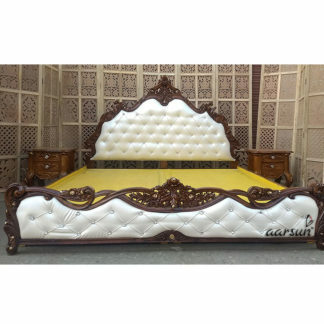 It has an elegant design which enhances the interior decor of your bedroom. 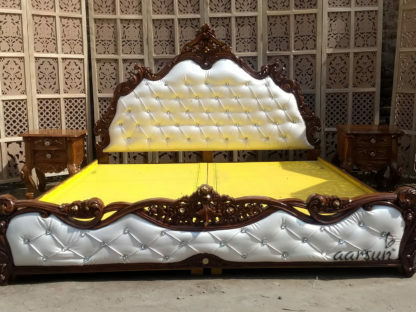 The upholstery of this bed makes it very comfortable to sit while the floral carving back gives the traditional look to the set. 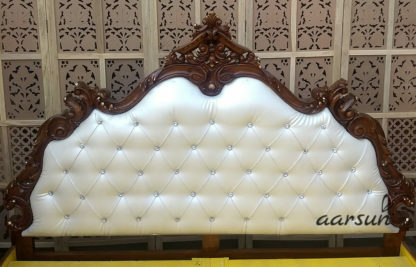 The front base consist of floral carving similar to the upper back.